This week for Retro Game Friday I’m back with a real classic. It’s Bastion! Plot: The plot is pretty great, not super intense or deep, but good nonetheless. Along with the fact that the constant narration is pretty freaking hilarious at times. Characters: The cast is rather small, but it’s not bad. Though I have to admit I like Rucks the most, if only because of his voice. Gameplay: The gameplay plays a lot like a Diablo game, with the player defeating enemies from an isometric view. That being said it also is a bit like classic 2D Zelda games in that you can only choose to use two weapons at a time, although unlike Zelda you can’t choose to switch your two weapons except at specific areas. All the while you hear the narrator speak about what you do in the game, which is pretty funny sometimes. Music: The music was awesome, and that’s really all I’ll say about it. I enjoyed the hell out of it and the voicework, especially the narrator. Art: Being somewhat 2D and cel-shaded the artwork has aged rather well, which is always a plus for me. 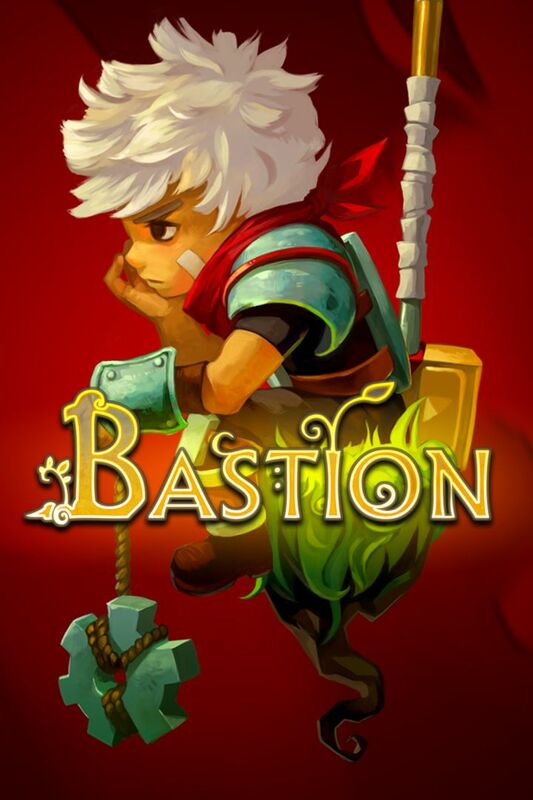 Overall: If you’ve never played Bastion, you ought to go do so as soon as possible. For those who like: Action, Adventure, Drama, Awesome Narration, Good Plot, Fantastic Gameplay, Great Cast of Characters, Excellent Artwork, Spectacular Musical Score. Not for those who don’t like: All of the above, but how can you hate all that? I really enjoyed this when I played it last year. The narration was fun and I enjoyed the story. Probably my biggest issue with it was the short length of the game.